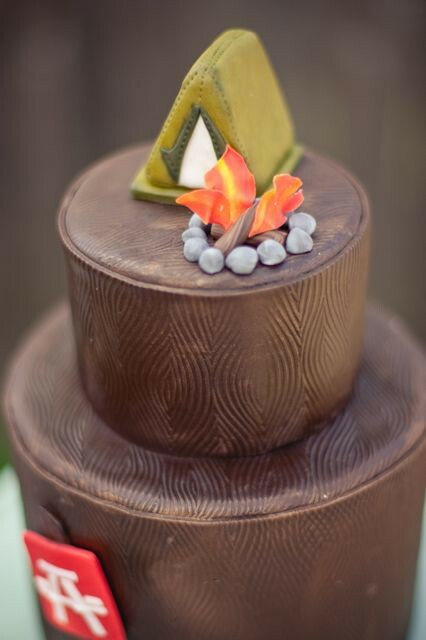 Sooo, in addition to S'mores... who doesn't love cake at a wedding. I must say that it's usually the thing I look forward to most as a wedding guest. Seriously. 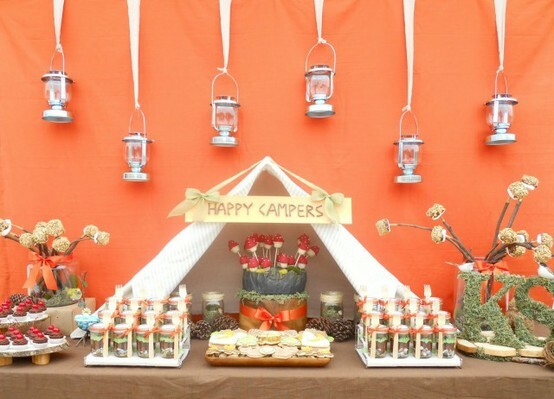 I found a few parties that had a camping theme to them, and I think that these could work beautifully for a camping themed wedding. 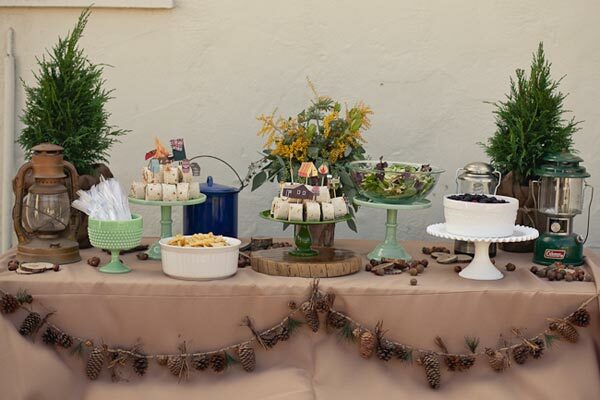 Those pine cone garlands are darling!